Seventy-five million websites run on WordPress, which makes it a very appealing target for hackers. If they can figure out a single bug in the program, they can potentially gain access to millions of websites without the user ever becoming aware of it. That’s why it’s important to ensure that your WordPress site stays protected. One way to do this is to always install updates as they’re released. An easy step and yet one that a surprising number of people don’t take. Even though this can go a long way towards keeping your site protected, there are some other steps that you can take. These three plugins will all help to keep your site protected, and ensure that you don’t have to deal with the threat posed by cyber crime. Wordfence is a great plugin and there are a couple of reasons that it’s number one on our list. For starters it’s open source which means that anyone can work with the code to improve it. It uses a “freemium” model which offers some features for free. You’ll have to pay a subscription fee for more advanced options. Wordfence works by scanning your WordPress source code and comparing it to the official version. After running this comparison it will give you a potential list of threats that you can fix right away. Not only will these fixes make your website more secure, they can also help to decrease load times. Like Wordfence, the Sucuri plugin is free to download and use. It works by running daily scans of your website for security threats, and letting you know about them so that you can make any necessary changes. In addition to these daily scans, Sucuri also makes it easy to secure your blog so that it’s virtually impossible for hackers to gain unauthorized access to it. Sucuri security is a trusted name in website protection and this plugin is definitely worth checking out. 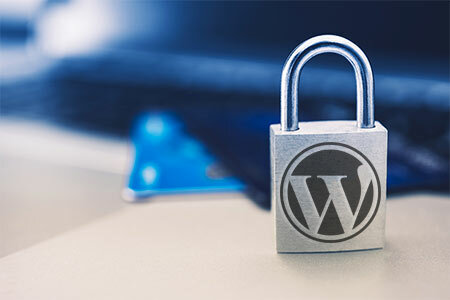 BulletProof is one of the most comprehensive WordPress security plugins ever created. While this initially might sound like a major advantage, it’s wise to take a second look before you install it. BulletProof’s list of security features is impressive, and well beyond the grasp of novice WordPress users. That means that it’s simply not necessary for casual bloggers. In fact, owing to all of it’s features, if not used correctly it can slow your site down which is never a good thing. So before you think about installing BulletProof, you may want to think about working with one of the two plugins above. They may offer less features, but they’re still extremely comprehensive and will do an excellent job of protecting your website. This can be a lot to take in. If you don’t feel like dealing with installing these plugins and managing them, Superiocity offers a WordPress Management Plan that takes care of this for you and more.